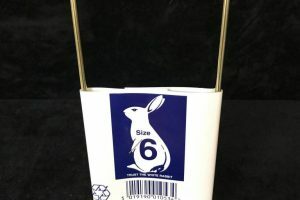 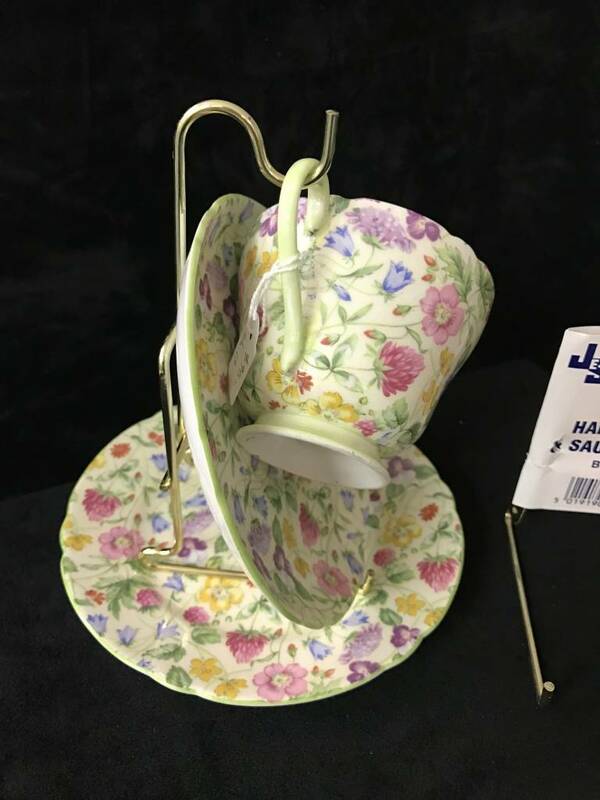 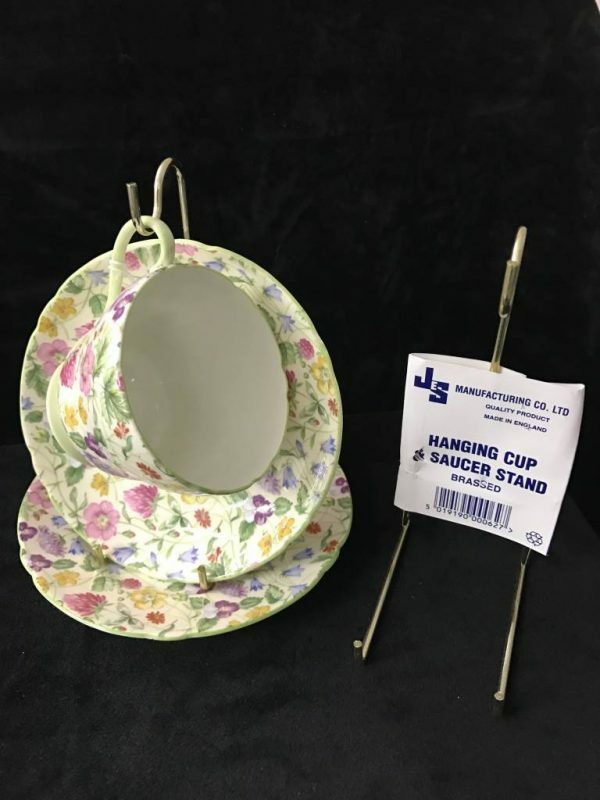 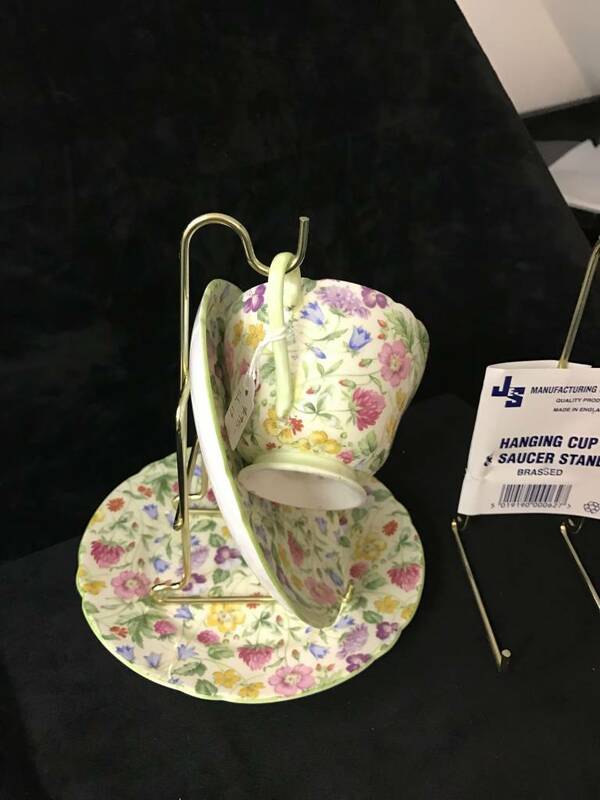 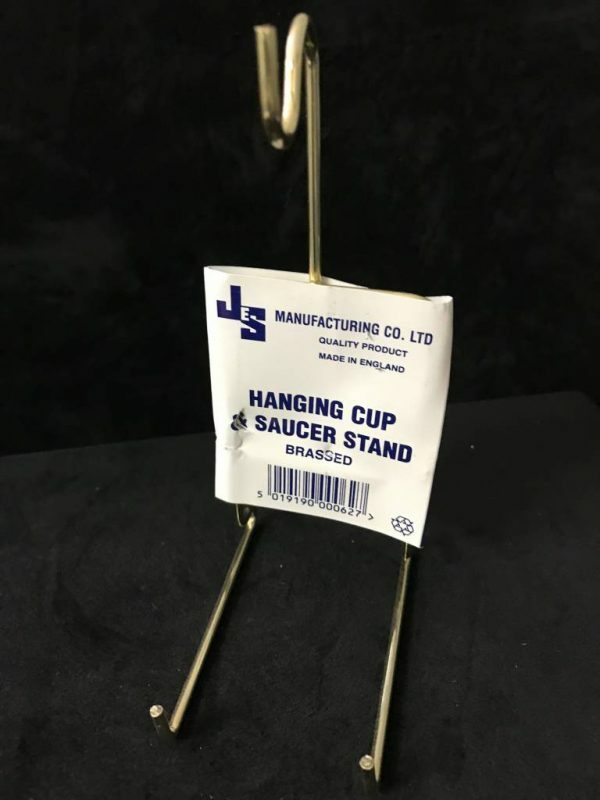 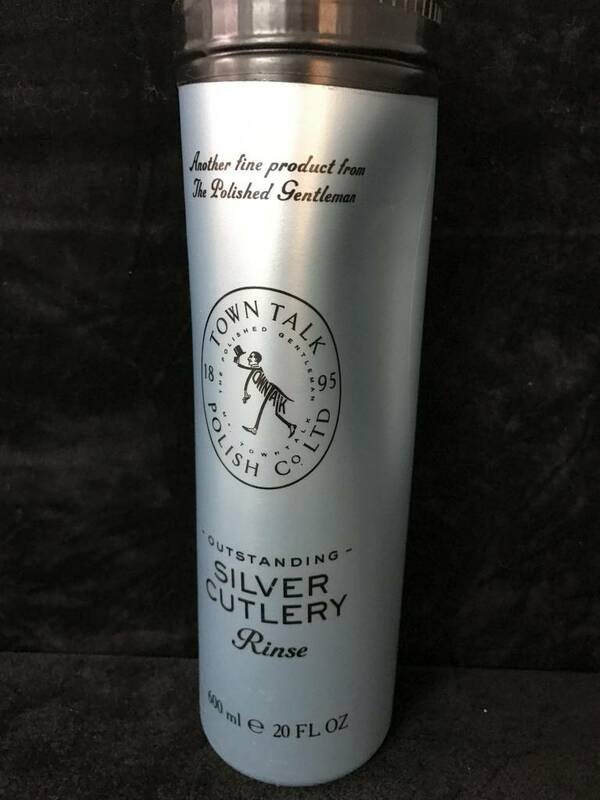 Easy to use silver rinse, comes with its own dipping basket, specially designed to make the cleaning of silver cutlery a simple and efficient task. 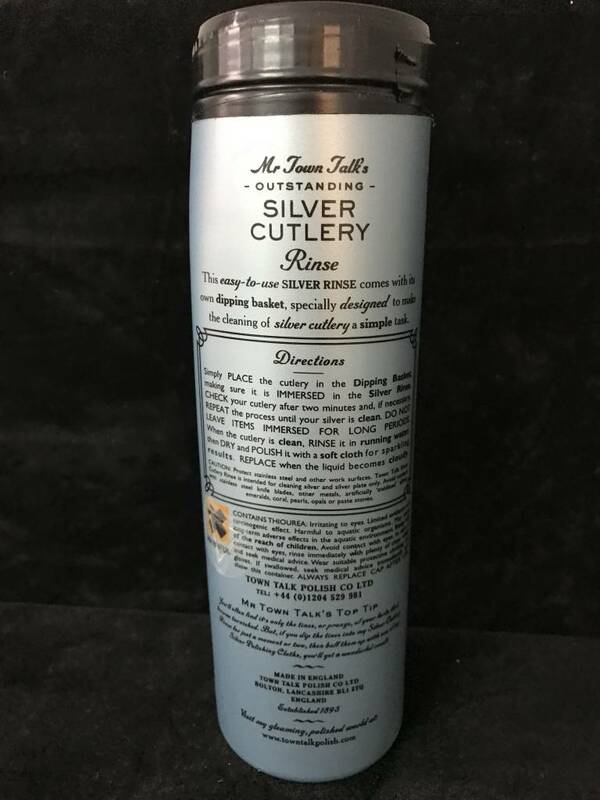 Simply place cutlery in the dipping basket and immerse in the silver rinse. 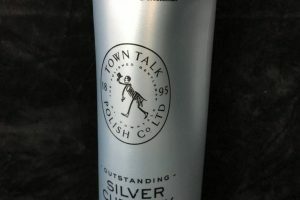 Polish with a soft cloth. 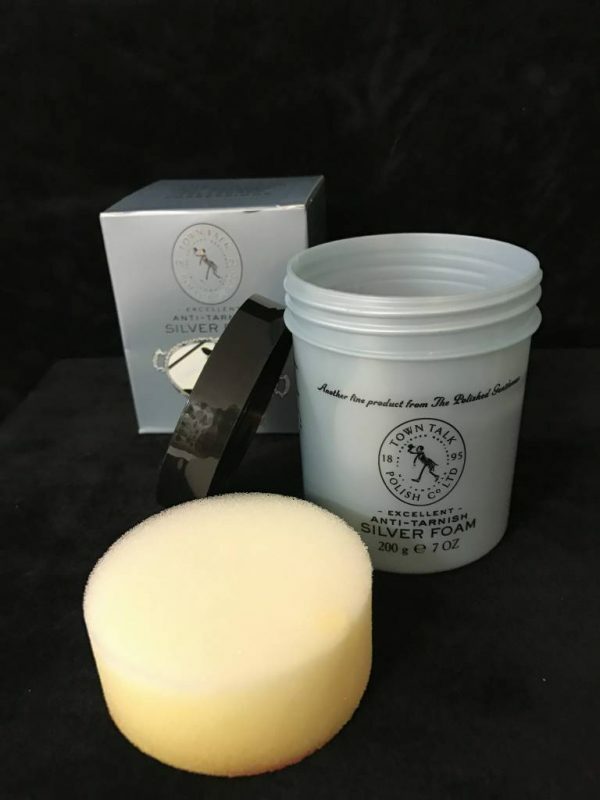 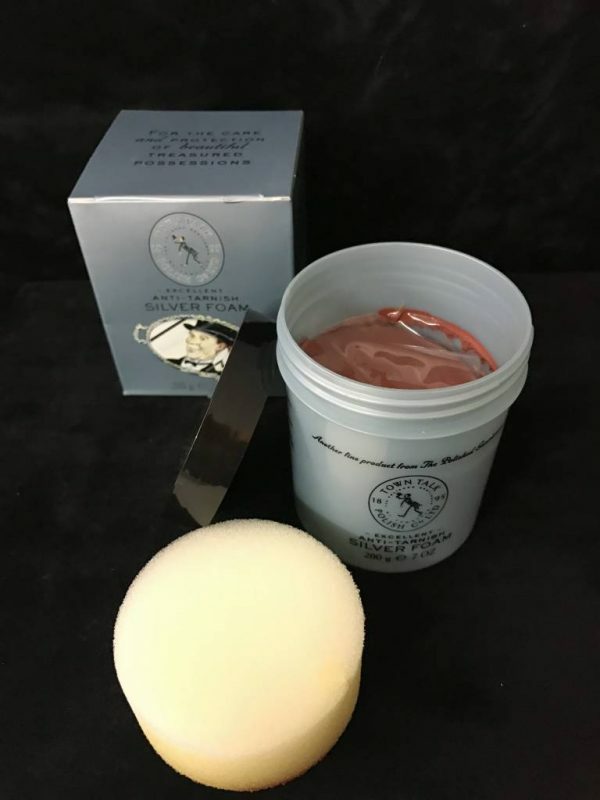 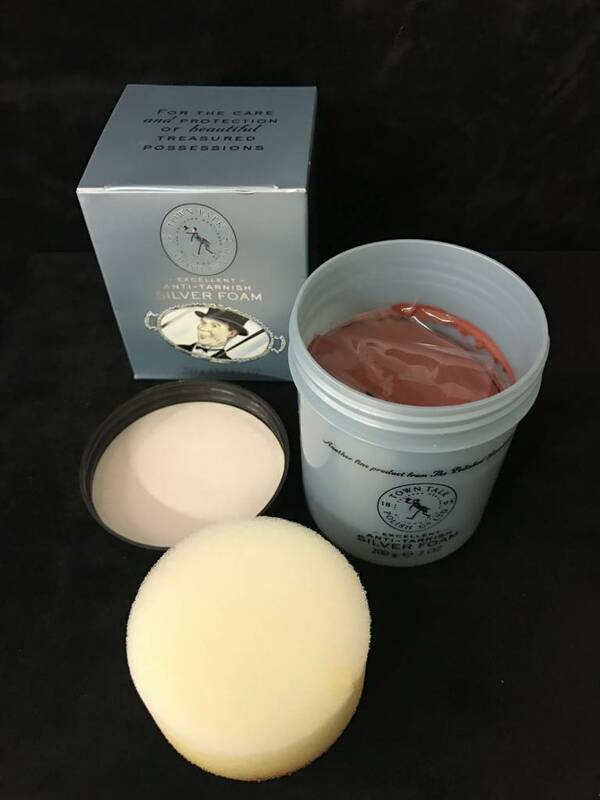 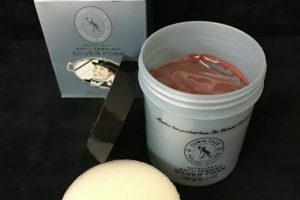 The traditional silver polish comes complete with its own foam sponge applicator. 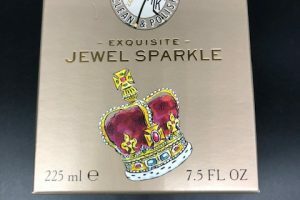 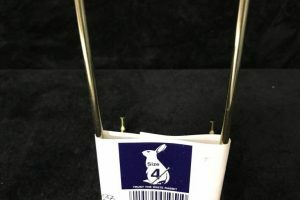 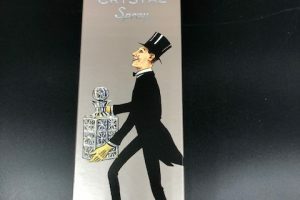 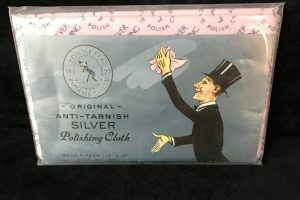 It is particularly suitable for cleaning Silver Cutlery, ornate and decorative silver and more heavily tarnished items. 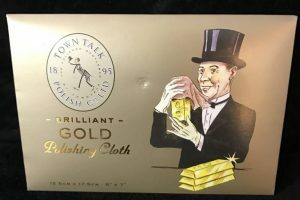 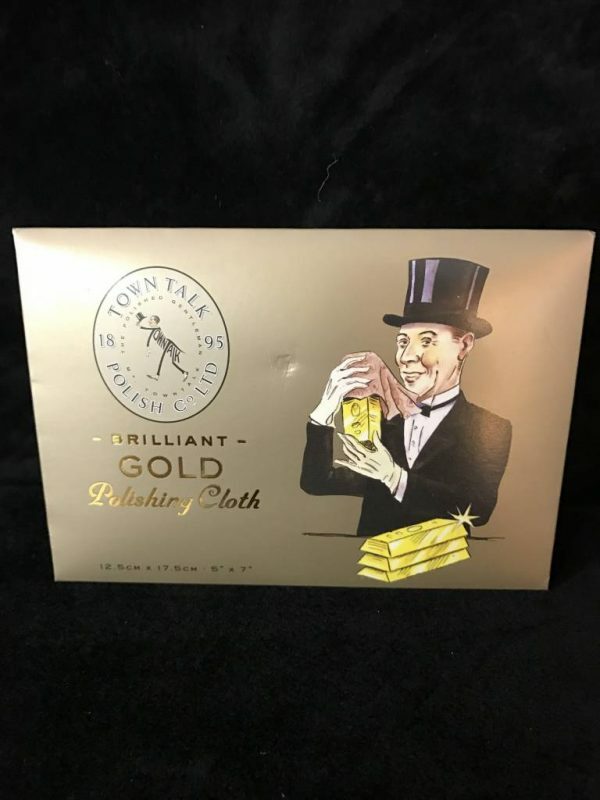 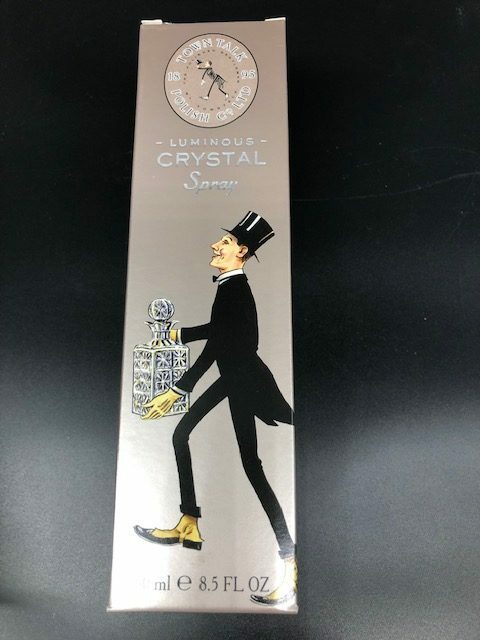 Mr Town Talk Gold Polishing Cloth brings out the true lustre of all gold items. 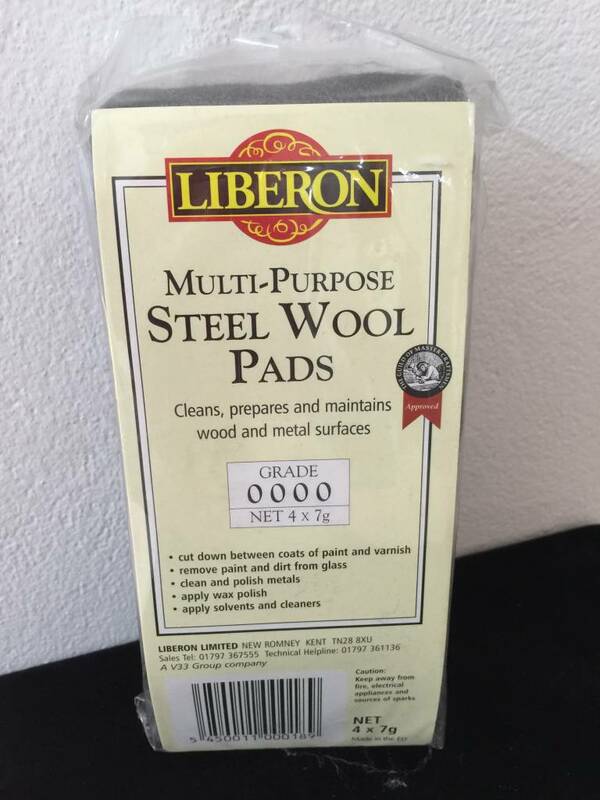 Its delicate quality gives them a brilliant sheen and long-lasting protection. 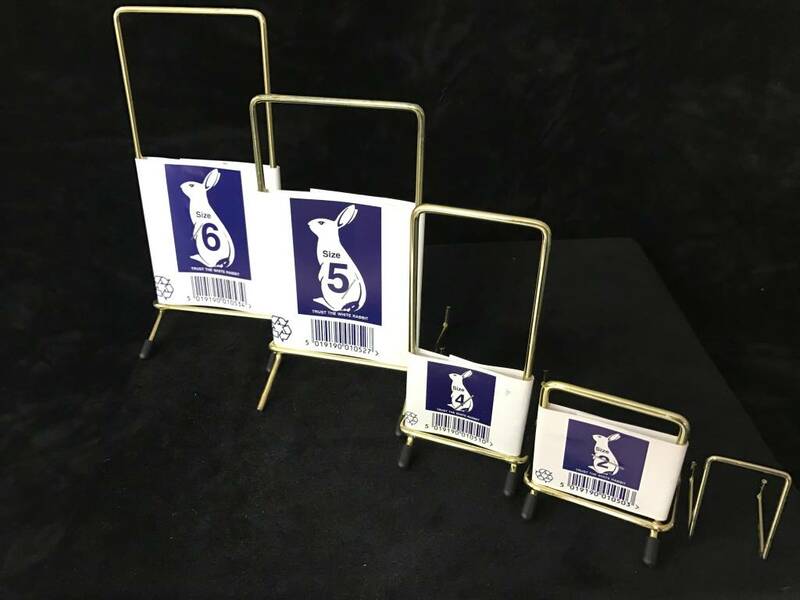 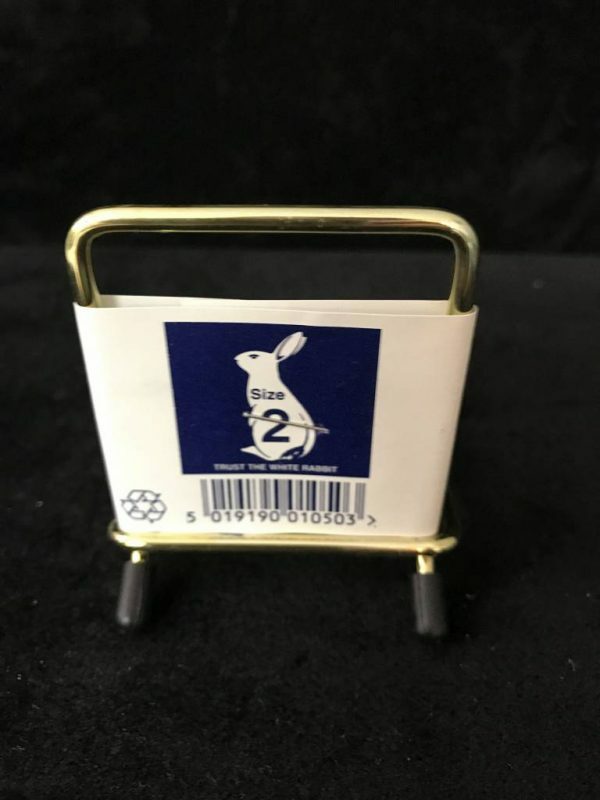 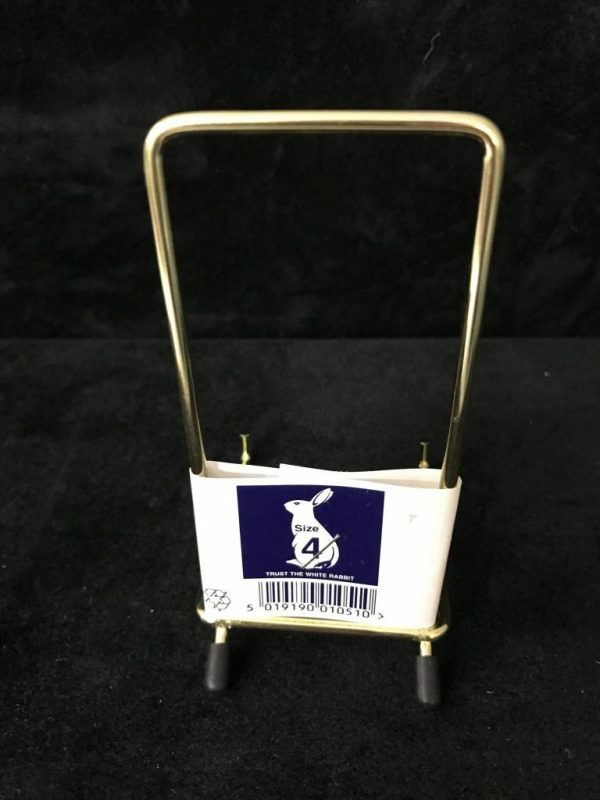 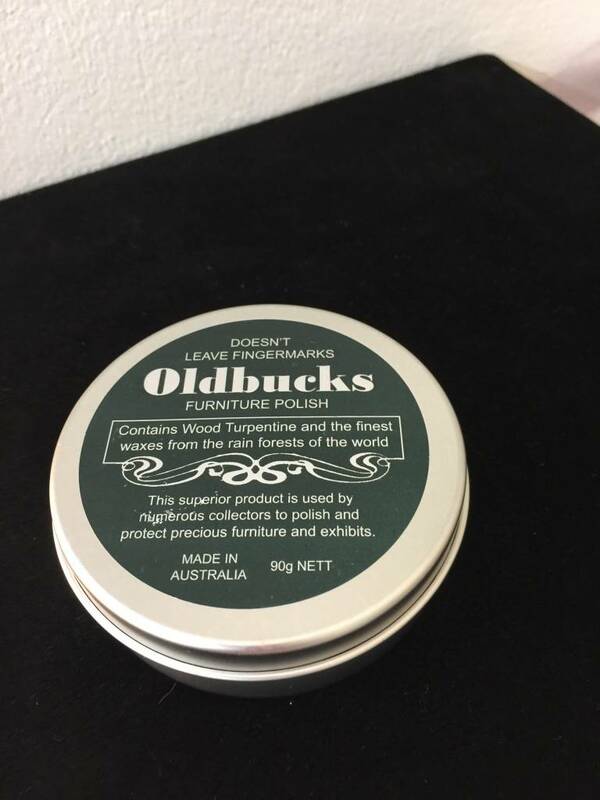 Great for handbags, cars and anywhere you need at your fingertips. 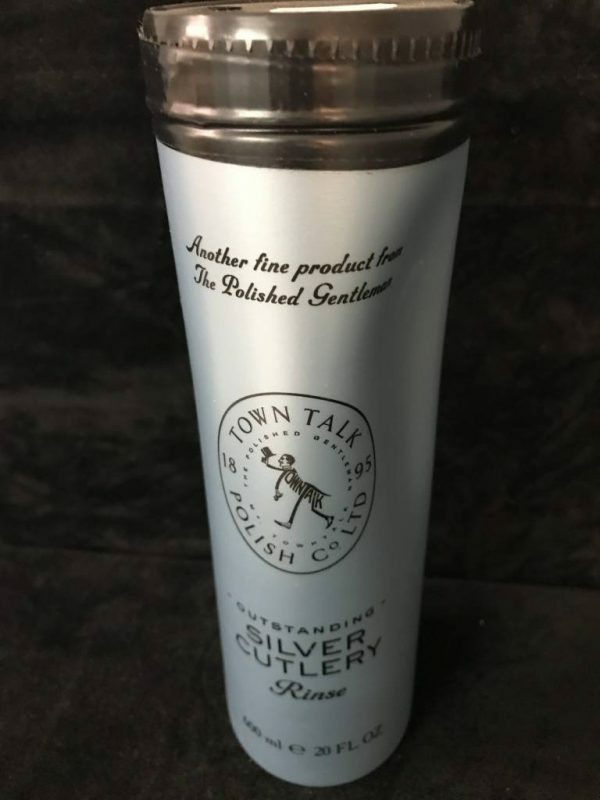 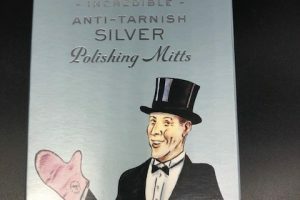 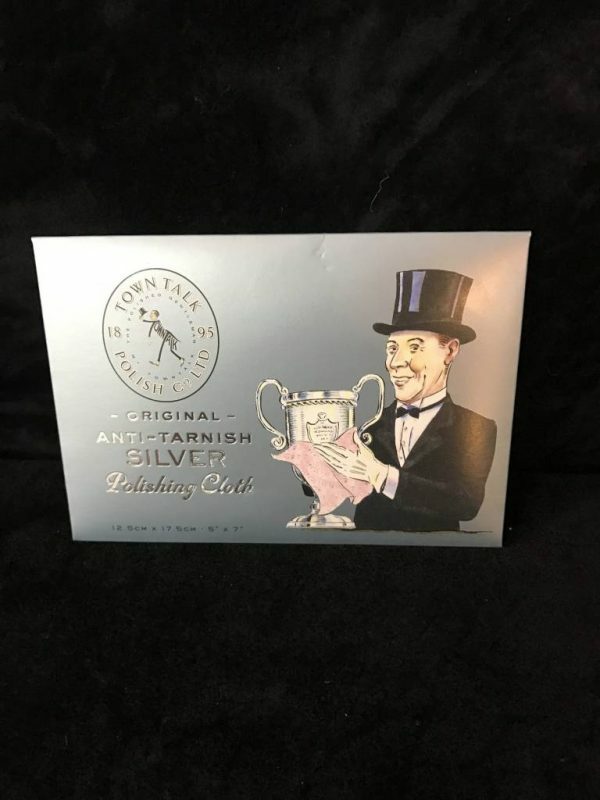 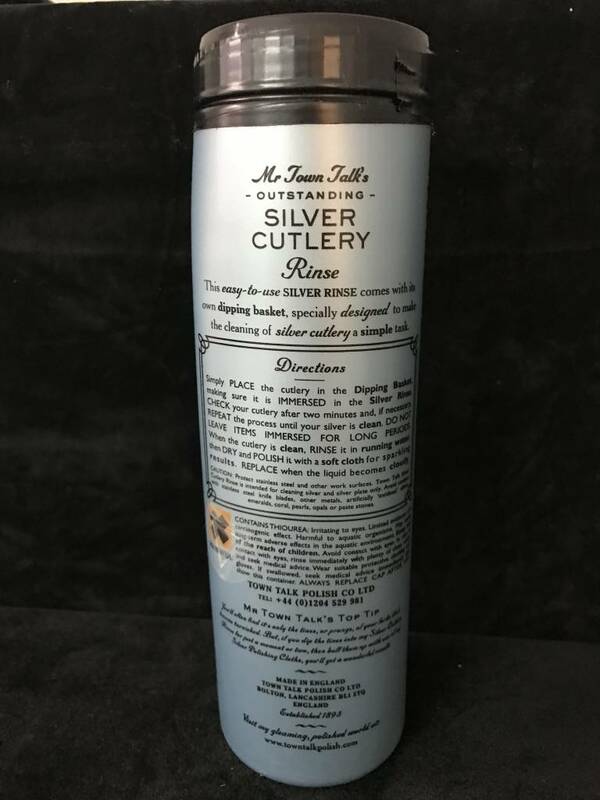 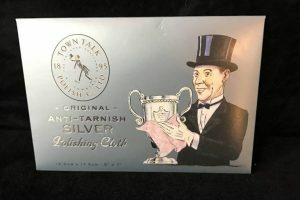 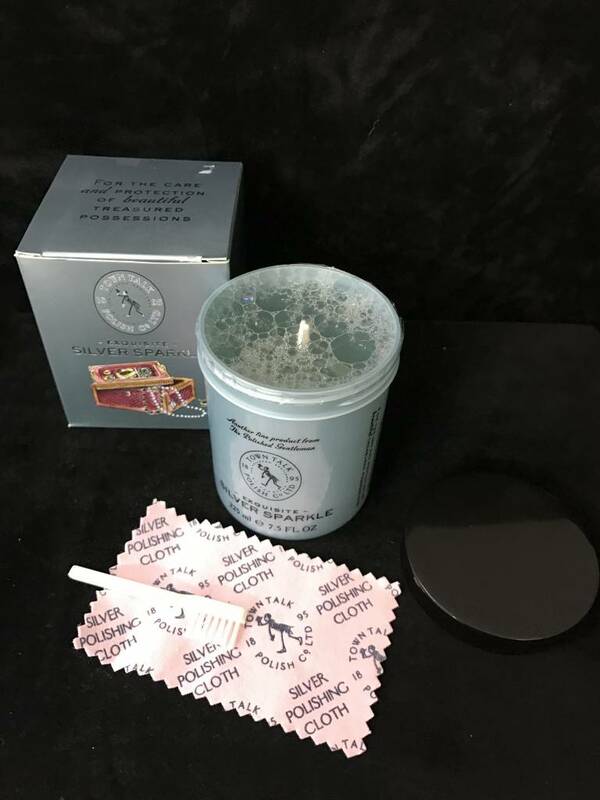 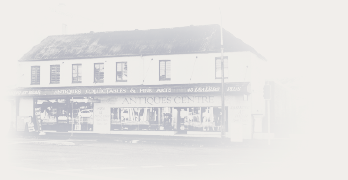 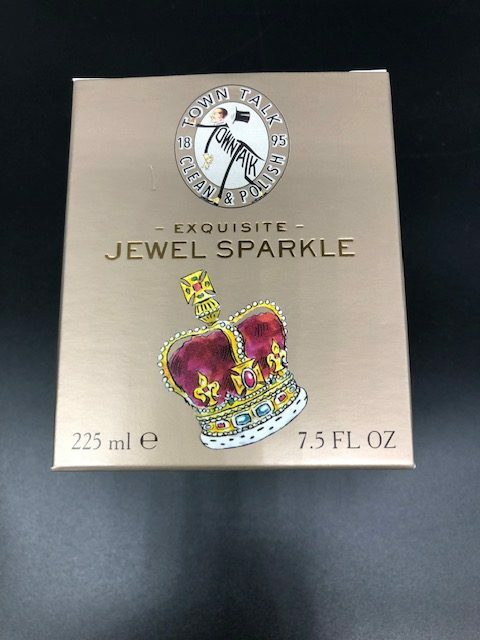 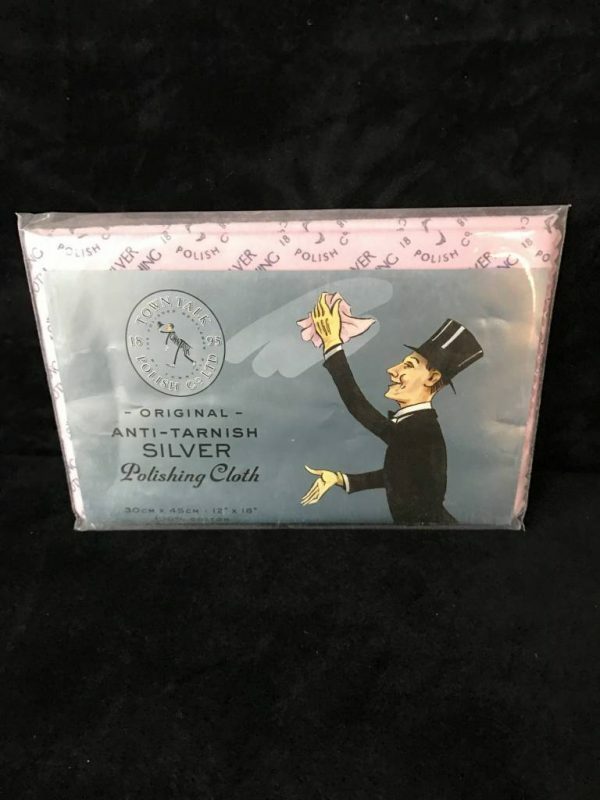 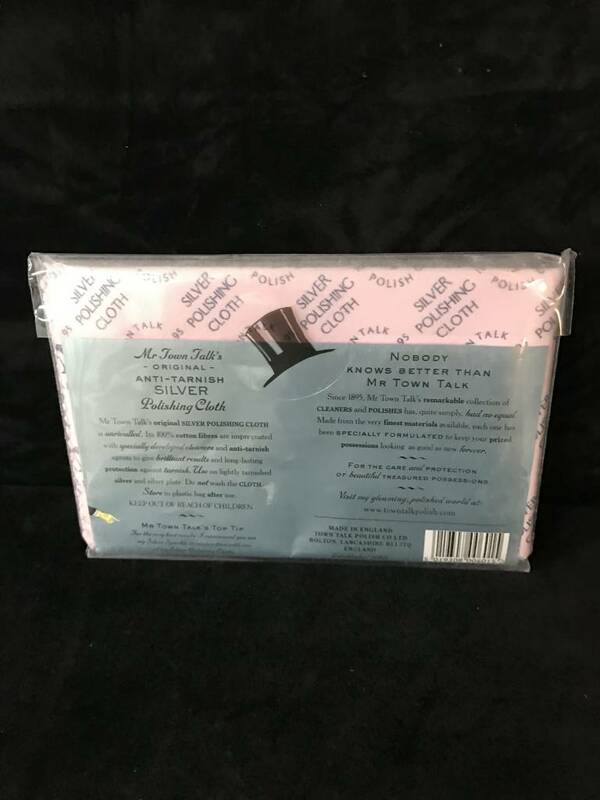 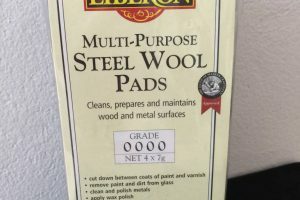 Mr Town Talks Original Silver Polishing Cloth, 100% cotton fibres are impregnated with specifically developed cleaners and anti-tarnish agents to give brilliant results and long lasting protection against tarnish. 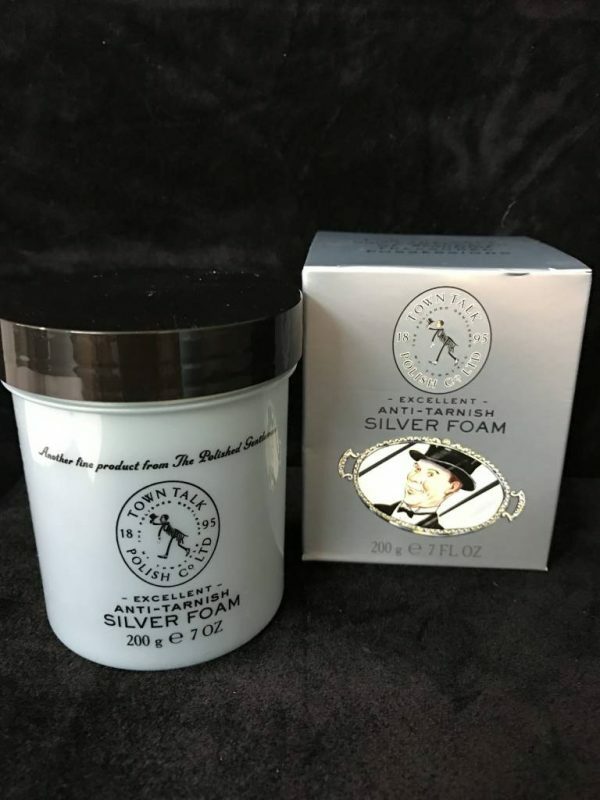 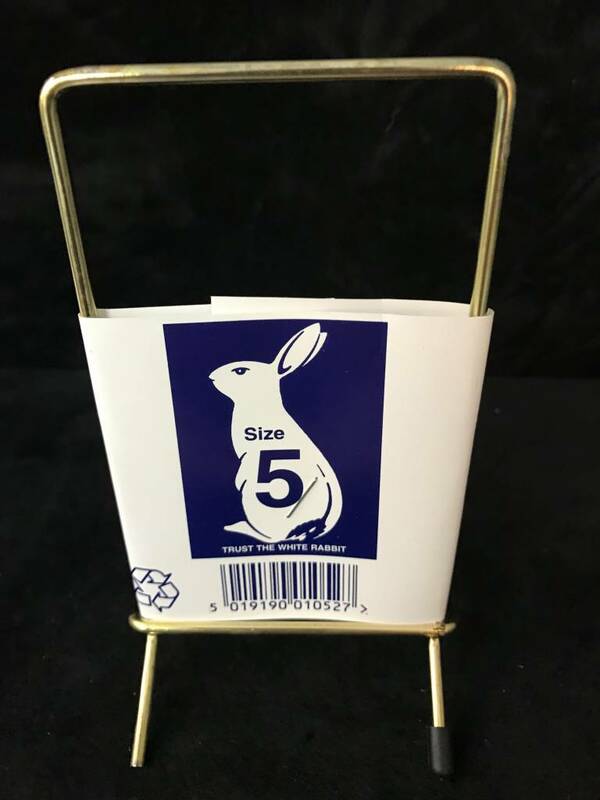 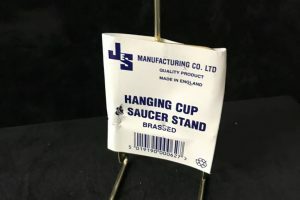 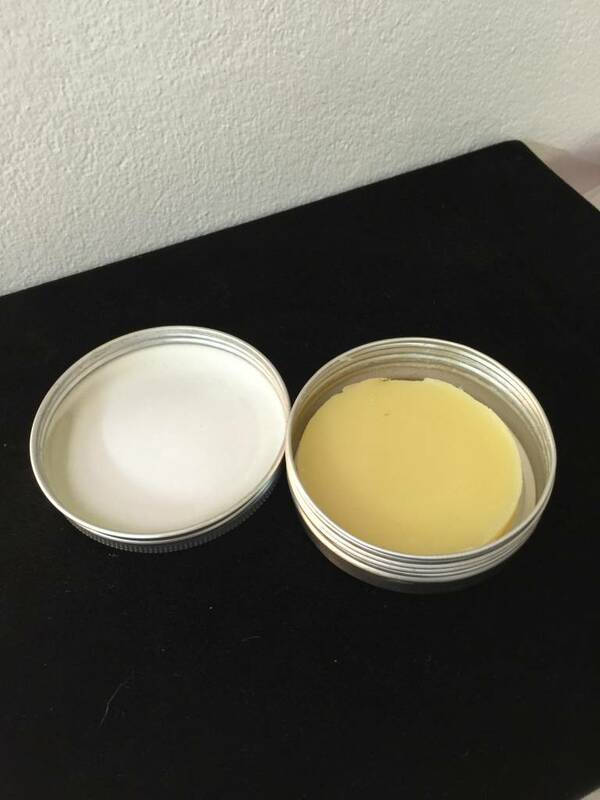 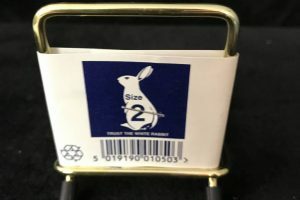 Use on Silver plate or lightly tarnished silver. 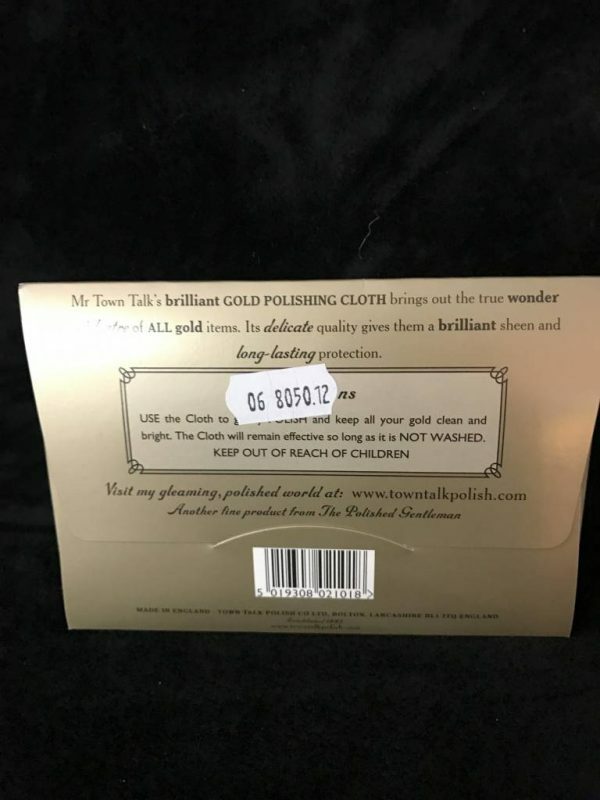 Do not wash the cloth. 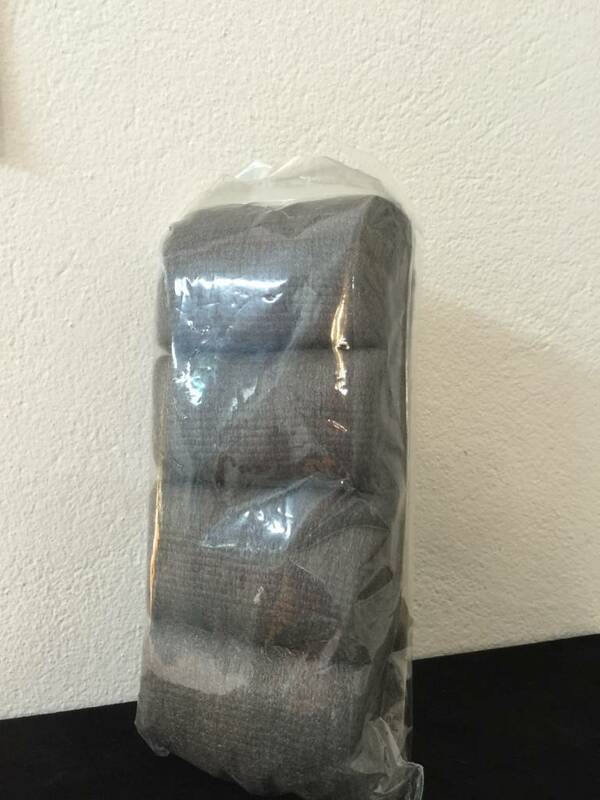 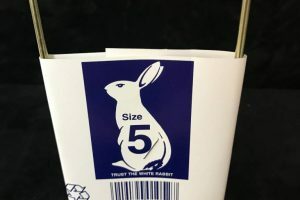 Store in the plastic bag after use. 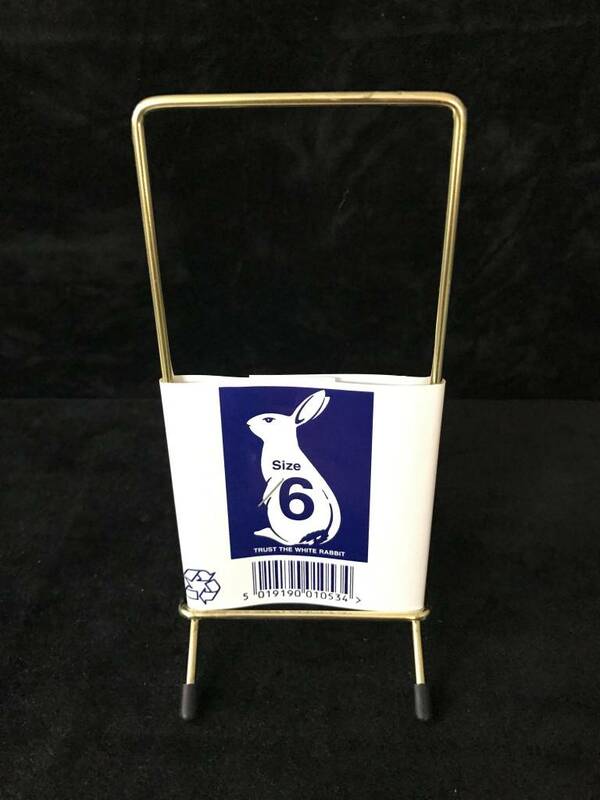 Excellent Silver Jewellery Cleaner will revive the sparkle in the silverware. 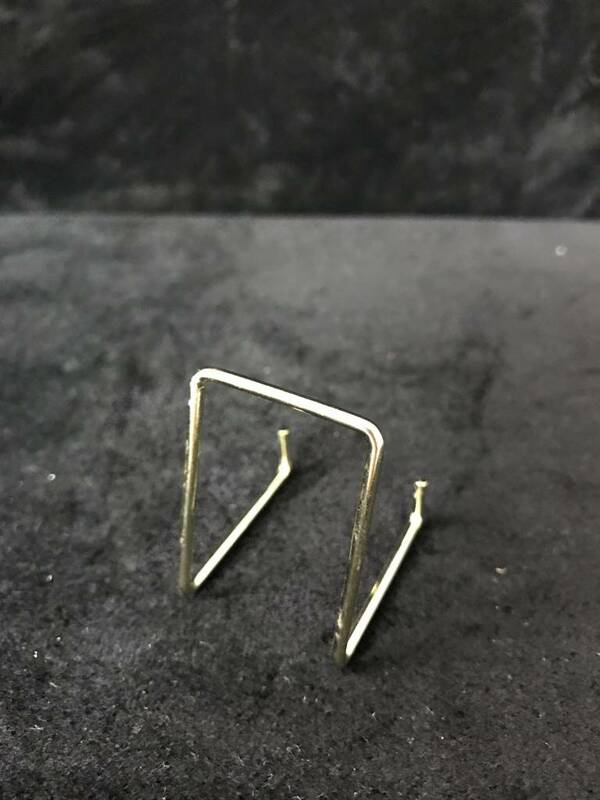 It is designed for cleaning small silver articles particularly jewellery. 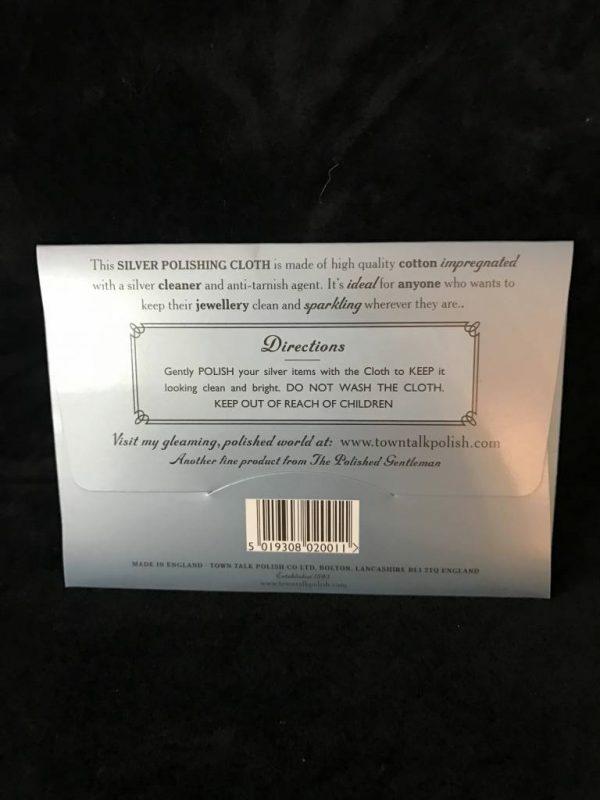 Simply place your silver jewellery in the dipping basket immersing the items in the cleaning fluid. 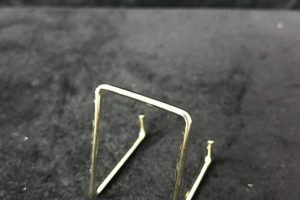 Check jewellery after two minutes and if necessary repeat the process until the items are clean. 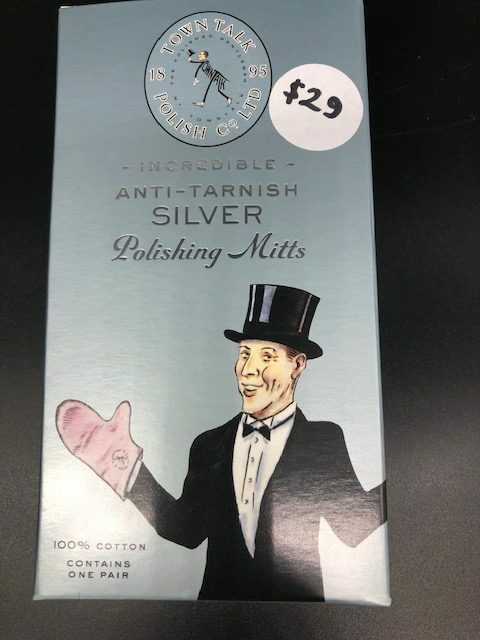 When the jewellery is clean rinse in running water and dry and polish with soft cloth. 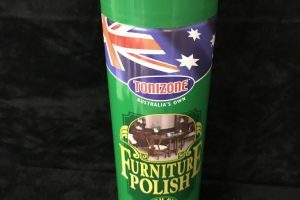 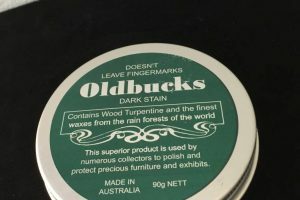 Carefully formulated blend of soft and hard drying Rain Forest Waxes combined with distilled wood-gum turpentine and is suitable fro polishing all kinds of timber surfaces, including Elizabethan Oak, Cedar, Walnut, Mahogany, Rosewood, as well as French Polished and unpolished, sand papered pine. 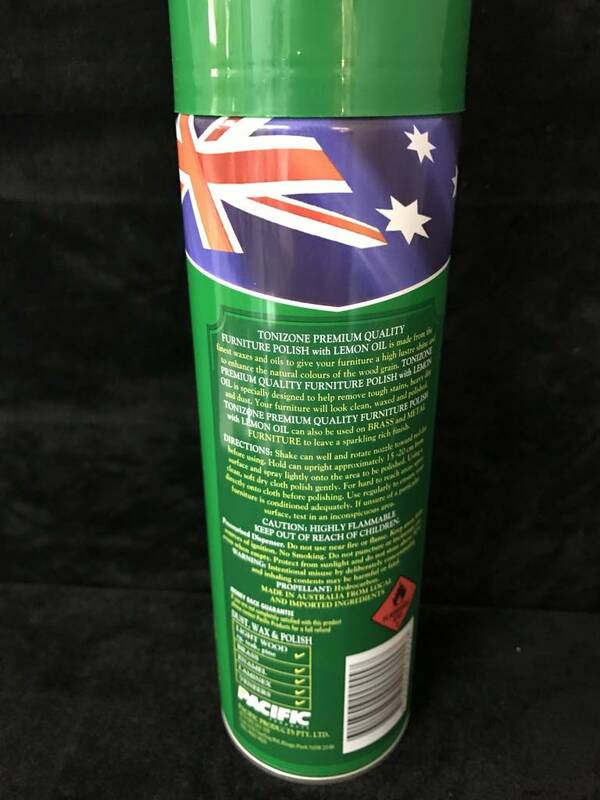 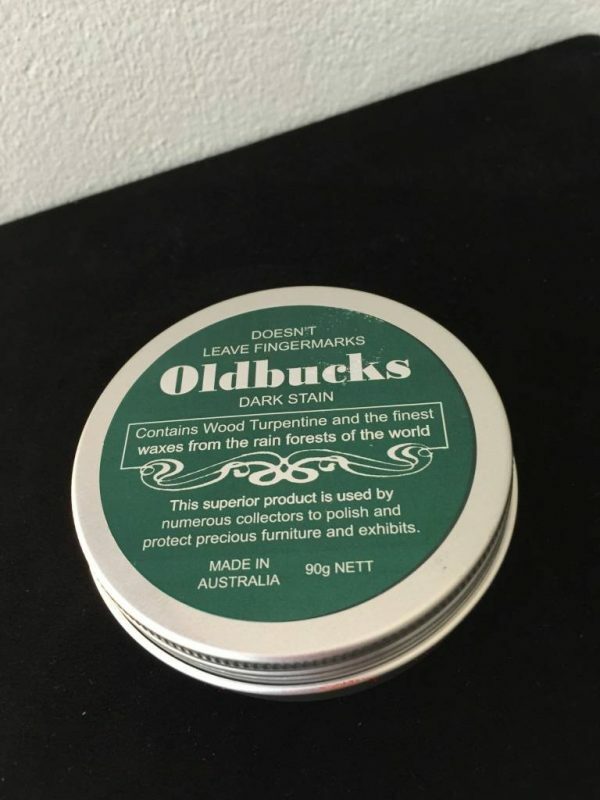 Contains Wood Turpentine and the finest waxes from the rainforests of the world. 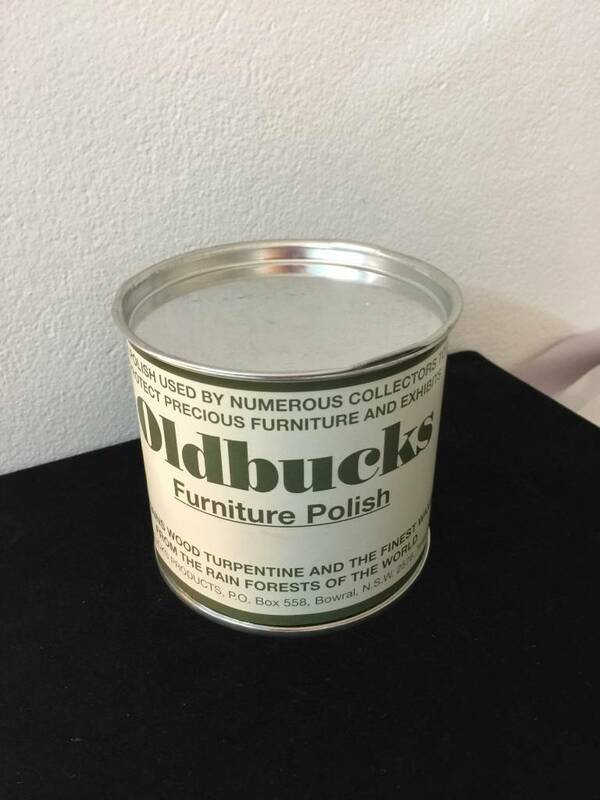 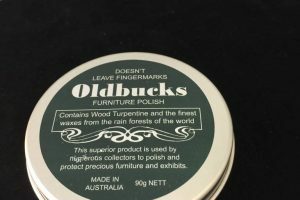 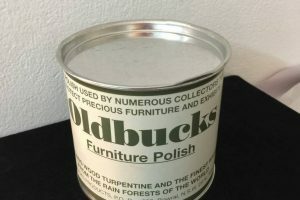 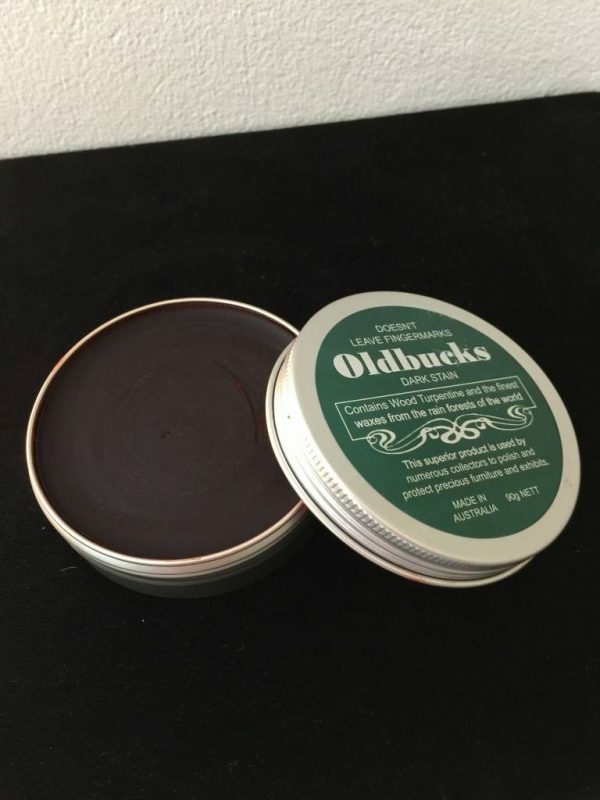 Oldbucks polish is a carefully formulated blend of soft and hard drying rain-forest waxes combined with distilled wood-gum turpentine. 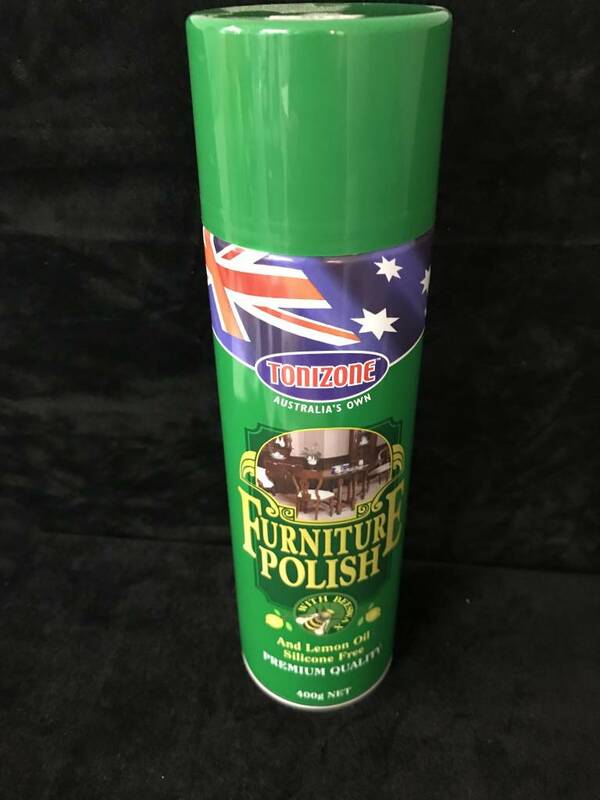 Suitable for polishing all kinds of timber surfaces as well as French Polished furniture and stripped, unpolished pine.